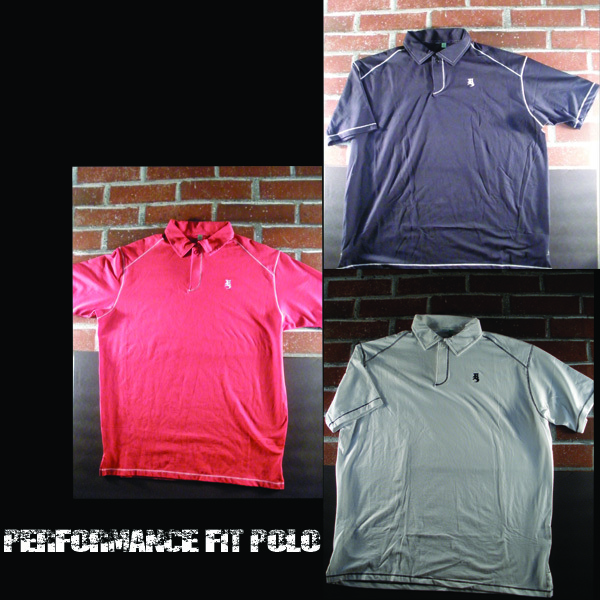 Lateral Hazard Golf Performance Fit Polos with embroidered LH monogram chest and Hazard Skull on yoke. Pimatek technology made of high quality pimatek cotton/polyester/spandex blend for lightweight comfort and moisture wicking important for play on the links. available in sunday red, navy black, and sleek white with contrast cross stitching.